When I left the house a couple of Saturdays' ago, Mr M told the little man that Mummy was "going to a class to learn to write" - much hilarity ensued, "Mummy can already write, that's silly", etc etc... Anyway, I was going off to learn to write - to learn to write nicely. My handwriting is nothing short of horrible - you can read it but it really doesn't look very nice, so when I spotted a calligraphy workshop at the lovely Liberty with Becky of Betty Etiquette (who I'd been Instagram stalking for a while), I booked it straight away. Looking forward to a nice relaxing morning, I had a moment of mild panic when I arrived - fairly sure I couldn't do pretty writing no matter what... Becky was lovely though and the table looked so nice that in no time I couldn't wait to get started. We began with very basic lines and shapes to get the hang of the pen. I had tried calligraphy once before - I think around 1988 when the thick gothic style was fashionable - I never liked the look though so abandoned that hobby pretty quickly. Becky was teaching us the copperplate style which has a much more contemporary (and legible) look - it's also quite easy to adapt to make your own. The time flew by, and I'd been scribbling away for a couple of hours, filling page after page, before I was ready to have a go at a card. I forgot to mention that the theme of the workshop was Valentines' Day (I don't do Valentines' Day in a big way so pretty much forgot about it until we got to this point! ), so we were all aiming to come away with a card. I played around with a couple of ideas and practiced my lettering several times before making two cards. After we finished, I decided to have a browse in the beautiful haberdashery, but ended up doing what I always do in Liberty and cooing rather a lot before getting totally overwhelmed and walking away empty handed - I often wonder if anyone else does that! Later in the evening I had a little practice, but I think I need to do more in a decent light (and at a table rather than curled up in front of the fire!). Keep an eye on the Betty Etiquette website for details of upcoming workshops, if you fancy giving it a try. 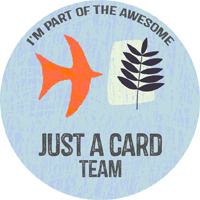 If you don't, but love the look, Becky also sells a beautiful range of cards and stationery.